Tainted by illegitimacy, plain Sarah Martin has no illusions of a grand marriage. So when the Earl of Langford makes her a proposal that will take her one step closer to finding her half sister, she can't refuse! 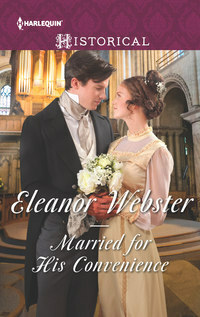 Sebastian's dreams of romance died with his late wife's affair, so now he needs a convenient wife to act as governess for his silent daughter. Yet Sarah continues to surprise and challenge him, and soon Sebastian can't deny the joy his new bride could bring to his life—and into his bed!